Introducing: The Speed Reading Video Seminar — an innovative new video training system guaranteed to at least DOUBLE your reading speed in 24 hours or your money back. Do you often find yourself getting stressed out by the volume of books, reports and other material you’re required to read? How many books have you been putting off reading? Forget ‘information overload’—sometimes it seems there aren’t enough hours in the day to read barely enough of the information you need! Whether you’re a student studying for exams or a business professional trying to keep up with the latest industry trends, the time it takes to read all of that important material can eat mighty chunks out of your social life, business building activities, family time and … let’s face it … SLEEP time. I’m Dr Marc Dussault, creator of the Speed Reading Video Seminar and I’m excited to share this revolutionary speed reading and learning system with you. My Speed Reading Video Seminar is THE learning resource that will give you the edge at school, college or in business simply because of the masses of information you’ll be able to read, comprehend and retain in less time than your peers or competitors. For example, if you’re a student, the sheer volume of reading material that you’re expected to get through is a MAJOR reason why you may find yourself spending far too long studying, with poor results to show for it. Speed Reading is a skill you can easily learn (I've personally taught it to over 1,000 people, ranging from 10-year-old elementary school kids to 65-year-old businessmen). When you know how to speed read, you IMMEDIATELY cut down the amount of time you need to study while actually increasing comprehension and understanding. If you’re in business, you know that in order to keep pace with the competition you need to be well informed, up to date and ready for change along with the times. 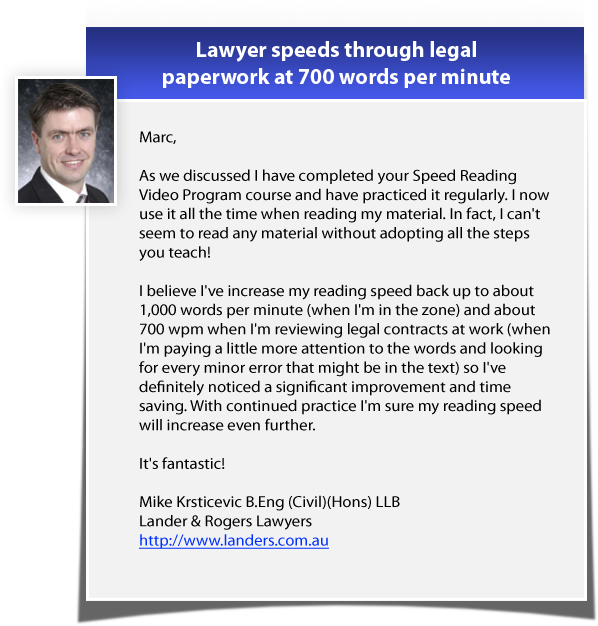 Learning to speed read using the Speed Reading Video Seminar,no longer will you simply keep pace with the competition, you’ll be well ahead of the pack. Now, if you’re above average, your reading speed is about 200-300 words per minute right now. If you knew how to speed read, you would finish a standard 300-page book 5 HOURS FASTER than you do now. That’s 5 HOURS of FREE time you could use any way you choose! With your reading out of the way, you'll have more time to do what you want! Using the Speed Reading Video Seminar, you can double your reading speed within 24 hours with equal or better comprehension. I absolutely guarantee it. In fact, if it doesn't work for you, let me know and I'll refund every cent. Proven to improve reading speed by 200 to 500%. Get through the background material in a fraction of the time to focus on learning the stuff that’s on the exam! 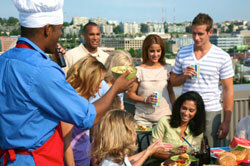 Gain confidence because this makes them ‘smarter’ than their friends! Good question! After all, you’d think that if you read a book at twice or three times your current speed, your comprehension would go DOWN. Well, that may be true if you read the way you were taught in school. You see, most readers are handicapped by poor reading habits that force them to read at 'speaking speed' rather than 'thinking speed'. At school, people are taught to 'speak' words in their mind as they read, and to pick out one word at a time. That’s painfully slow for your brain. As a result, your mind wanders, regresses and loses concentration. You know what it’s like—you flip through the pages, but then have no idea what you've just read. Using the accelerated, paint-by-numbers techniques I teach in my Speed Reading Video Seminar, you'll be astonished by how easy it is to become a 'Speed Reader' yourself. And your comprehension, memory and recall will increase too! In Love With Speed Reading! As a speed reader, your experience will be heightened and increased to the point where you will FEEL like you're in the BOOK or story - it'll be so vivid, it'll seem like a movie is playing inside your head - in REAL TIME because you can read as fast as it's happening with NO TIME DELAY. How cool is that? Click here now to start Speed Reading to make reading as enjoyable as watching a blockbuster movie! Why choose my Speed Reading Video Seminar over other Speed Reading products? There are a lot of Speed Reading products on the Internet. Some are not bad while others could see you “handicapped” for life by teaching techniques that simply don’t work. Some systems even require you to attend a whole day workshop. 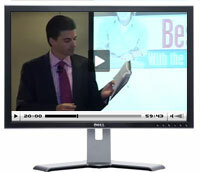 Speed Reading Video Seminar: Over 100 minutes of high-quality streaming video. 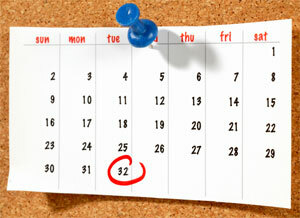 Can you really afford to do that with your busy schedule? With my Speed Reading Video Seminar you’ll learn speed reading in less than 1 hour, in the comfort of your own home at the click of a mouse! And because this course is in VIDEO format, you will SEE the techniques in action, enabling you to follow along and carry out the exercises in ‘real time’ just as though you were right there in the room with me. Learn how to speed read at least 200% faster than you do right now, in 60 minutes or less! Why your ‘eye-mechanics’ are working against you each time you want to speed read and what you must absolutely do if you want to read at 1000 or MORE words per minute! The correct way of using BOTH of your hands if you want to speed read accurately. (Get this wrong and your comprehension drops dramatically). The one sitting position that can actually disable your speed reading ability and how a simple shift in your body can make words seem to jump off the page like grasshoppers. A simple warm-up exercise you must do to shift your mind gears into overdrive and speed read at ‘turbo-pace’ while comprehending everything you read. 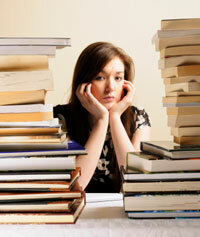 The #1 OBSTACLE to you being able to speed read and how to overcome it. Why you should read faster than you can comprehend and what to do right after that. Why you should slow down to read faster. What you must do and how you must do it when you get tired and slow down so you can speed up the pace without missing the gist of what you read. A 3-minute step-by-step process to teach you speed reading from the ground up. The #1 MISTAKE—why some people can’t break the speed barrier of 400-500 wpm and how you can DOUBLE that speed with no effort! What to do when you start losing speed and comprehension—most people do this wrong! How to ‘grease’ the tip of your finger so it glides like a super-boat across the page! What to do when you stumble upon a word that you can’t pronounce or don’t know—a quick-fix to get you going again! A simple ‘wiggle’ of your index finger guaranteed to super-charge your reading speed in less than a split second. You could learn anything you wanted to if you had more time. But the truth is that there are ONLY 24 hours in a day. Doesn’t it make sense to get the most quality time you can out of those 24 hours rather than spend most of it studying? What about when you want to go out with friends but know you should stay home and study for a test? How can you do both? When you double or triple your reading speed, you'll have more time to review and prepare for tests, exams and other high priority tasks. By having this EXTRA TIME, you're grades will improve, but your stress and anxiety will also go down because you won't be panicking the night before your test. 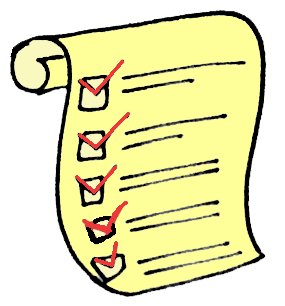 Unless you have a system that will help you to digest large chunks of information quickly. Don’t decide right now: TRY it out for 60 Days at MY risk. If it doesn't work for you, just let me know and I'll refund everything you paid. Simply order my Speed-Reading Video Seminar today, try it out for a period of 60 days and if you’re not able to read more books and articles in less time, without losing comprehension and if this Video Seminar is not EVERYTHING I promised—I'll give you a prompt and courteous refund! You simply can’t lose! But you have so much to gain. If you’ve read this far, I know that success is important to you. But here’s the thing... Your future depends on your ability to assimilate large chunks of information quickly. There is a load of information available nowadays and a slow reader is disadvantaged by not being able to make the most of it. 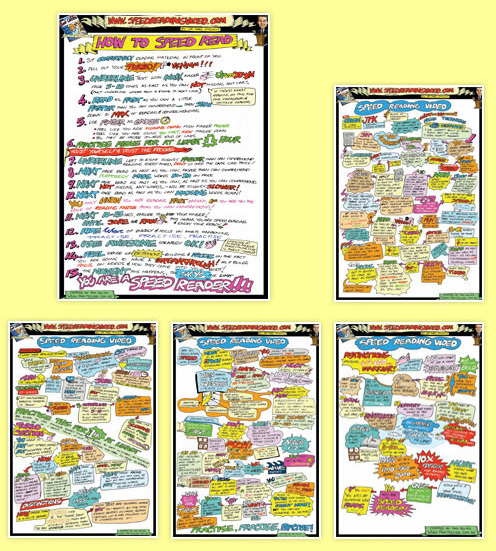 As a limited time bonus, I'll also give you access to a full-color MindMap “booklet” of the Speed Reading Video so you have INSTANT ACCESS to all the tips, tools and techniques contained inside. Each page of the MindMap booklet will help reinforce every single strategy, allowing you to recall and apply it with little or no effort. 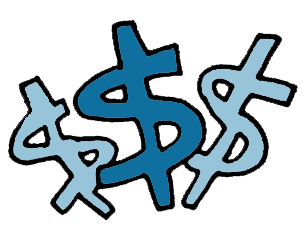 The time you save is like being able to have an extra day per month, for the rest of your life! Why take 10 hours to read what you could read in 5 hours or even 3 hours? 5 hours saved per week x 52 hours per year = 260 EXTRA hours per year, for the rest of your life! That’s why I think—no, I KNOW you owe it to yourself and your future to master the skill of Speed Reading. And now, with the Speed Reading Video Seminar it can’t get any easier. Just grab a book and follow the seminar-style instruction in ‘real time’ — you will get IMMEDIATE benefits. 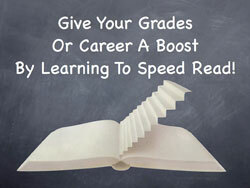 Take your first step towards mastering Speed Reading the fun, easy and proven way! Available for Immediate Secure Download—even if it's 2am! P.S. Remember, life is not fair. That’s why you need to grab all the tools you can that will give YOU the unfair advantage to be successful in school, business and life. If you want to climb the success ladder in your studies or career, start by mastering speed reading now!